Emirates is set to introduce a fourth daily service from Dubai to Sydney from 25 March 2018, complementing its existing three daily A380 services and improving connections globally. 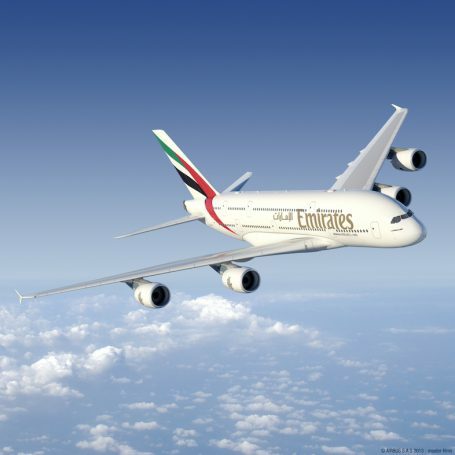 The new service will be operated by Emirates’ iconic A380 aircraft and will increase passenger capacity on the route by 6,846 seats a week, inbound and outbound between Sydney and Emirates’ hub in Dubai, and represents a 7.3% increase in capacity for Emirates’ Australian services. The move will provide passengers travelling from Europe and North Africa greater connectivity to Australia. It also builds on Emirates’ partnership with Qantas, meeting continued demand for services to Dubai and complementing Qantas’ re-routing of its current Sydney to London service via Singapore (instead of Dubai). Earlier this year Emirates announced plans to enhance its Australian services, with a third daily service set to be introduced between Dubai and Brisbane from 1 December 2017 and operated by a B777-200LR. Emirates will also upgauge its third daily flight between Dubai and Melbourne from a B777-300ER to an A380 from 25 March 2018. This change will ensure all three of Emirates’ daily flights to Melbourne will be serviced by A380 aircraft. Emirates currently operates 77 weekly flights from Dubai to Australia, with flights to Sydney, Melbourne, Brisbane, Perth and Adelaide. The third daily service to Brisbane and fourth daily service to Sydney will bring this to 91 weekly flights.